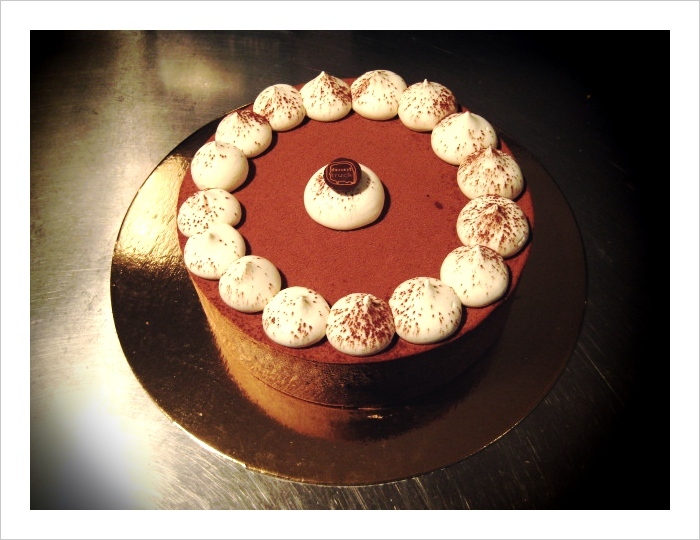 The latest family-sized dessert we’ve added to the menu is a tiramisu mousse cake. It’s made with coffee-soaked lady-fingers, espresso mousse, mascarpone mousse and whipped cream. It’s 8″ in diameter, easily serves 8-10 people and sells for $44.99. Click here to order yours.